Think making desserts for your upcoming holiday party has to be something that you slave over? Think again. With the right resources, baking holiday treats can actually be fun, easy, and affordable. Plus, none of your guests will ever know how easy it was for you to create. In this post, you will discover seven fun holiday desserts with a twist. 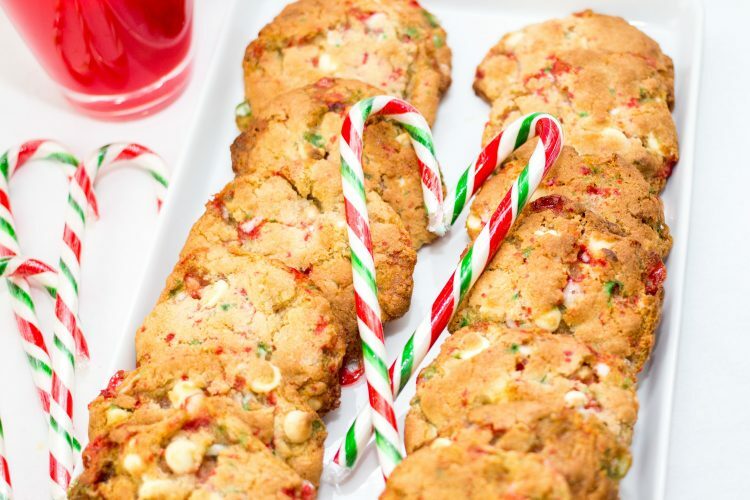 This is a festive twist on a beloved sweet and salty treat. And the cherry on top? It’s super quick, easy, and affordable to make. So if you are running behind on preparations for your upcoming holiday party and don’t have a lot of time to get elaborate with your baking project, just whip up a few of these treats. Melt chocolate chips and pour a small dollop on each miniature pretzel. Place a red or green M&M on each chocolate covered pretzel. Get creative by placing broken pretzel pieces on either side for the antlers. This is a particularly great snack for kids’ parties! Another twist on a classic treat that kids and adults love is the rice crispy holiday tree star. Simply make a batch of rice crispy treats, but to get in the holiday mood, add in some with festive food coloring, red, white, and green sprinkles, or any other holiday candy that comes to mind. Make sure you have a star-shaped cookie cutter on hand to cut out your delicious rice crispy holiday tree stars. Brownies don’t have to be boring when they’re shaped like Holiday trees! This will be an especially fun dessert to make if you have kids in the house who want to help. Make a batch of brownies and after allowing them to cool, cut them into narrow triangles. Complete the brownie treats by slathering green frosting on each piece and sprinkling with fun holiday candies and sprinkles. This is one sure-fire way to make the traditional treat even more irresistible. Your guests will never believe how easy it was for you to make these delightful Holiday cookies. Simply use plain sugar cookie dough and separate half of the batch to be dyed with red food coloring. Then twist the plain cookie dough with the red cookie dough and shape into a candy cane. These addicting and adorable cupcakes are loaded with sugary goodness. Top each cupcake with vanilla frosting and decorating sugar to give the cupcakes that sparkly, snowy look, and complete with mini chocolate chips for the eyes and mouth. And for the nose? A yummy butterscotch chip! It’s difficult to imagine a more delicious string of words. This mouth-watering dessert could easily be the biggest hit of the party. And there is no need to tell your guests that you made it from a box of red velvet cake mix. Prepare thecookie dough on a pan, fill the middle with a dollop of cheesecake mixture and bake from approximately 12 minutes. After baking, drizzle each cookie with some gooey, warm vanilla icing. If you don’t think you are the craftiest person in the kitchen, here is a fun treat that you don’t need to make from scratch. Head to the grocery store for some plain donuts and designate a day of decorating them with a variety of colorful icings, sprinkles, and other fun toppings. It’s easy to do and you may even catch yourself feeling like a talented crafter! Check out more helpful posts on inspiring recipes, fun holiday ideas, entertainment, and more by visiting the iRazoo blog today.